As the iPad and mobile filmmaking apps get more powerful, it suddenly becomes a viable option for editing feature films and shorts on a mobile device. LumaTouch is one such app, that provides desktop level performance on a mobile platform. 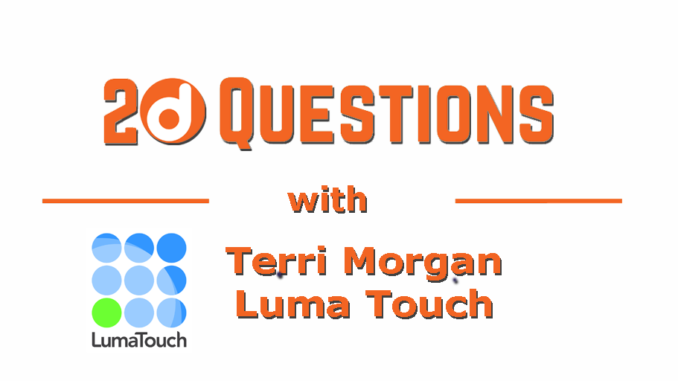 We sat down with Terri Morgan, co-founder of LumaTouch, to talk about how she got started in editing, and when she realized that the mobile platform could handle a post production workflow. Q: Give us some backstory. What did you do before you started LumaTouch? 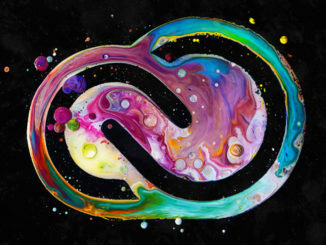 A: (Terri Morgan) I come from the video editing side. I started editing in Seattle in 1988 for a local post production facility, Alpha Cine. After 7 years at Alpha Cine I began doing a combination of testing, product management and design for what I consider to be some of the most innovative companies in the world of non-linear editing at the time, such as Lightworks in London, Fast Multi-Media in Munich, Pinnacle Systems in Mountain View and finally AVID, where I was a Principal Designer and Product Manager for Avid Studio and Avid Studio for iPad (which eventually became Pinnacle Studio for iPad when it was sold to Corel). Avid is also where I met Chris Demiris, the other co-founder of Luma Touch, and our lead developer. Chris has created and integrated numerous technologies and products for 3D motion graphics, GPU video processing, and digital-rights-management. He had previously co-founded Hollywood FX in Utah 1993, a 3D video motion graphics product. He sold Hollywood FX to Pinnacle Systems in 1999 and began working for Pinnacle Systems which was eventually purchased by Avid. Among other projects at Avid, he was the lead developer for what was then Avid Studio for iPad. Q. What was the inspiration behind LumaFusion? A: Building LumaFusion was a very natural progression born of our experiences and our mutual passion for professional editing and effects. Both Chris and I have worked with some amazing teams under the structure of larger companies like Avid. 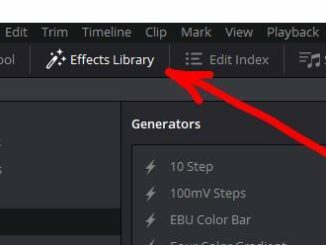 We have always been involved with creating tools for editing and effects. We must thank Tanguy Leborgne, one of our managers at Avid for being open minded enough to let us have free range to create Avid Studio for iPad. 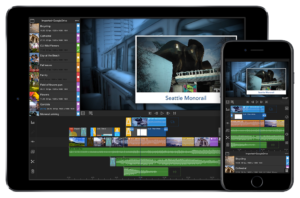 With what we learned from that experience, and with the maturation of iOS Development, we knew if we were free to define our own path we could go several steps further, to bring truly professional video editing to mobile. Q. Why go iOS? Do you have plans for an Android version? A: iOS and macOS have a rich foundation for video and audio. Our Spry Engine, which took us three years to create, was built upon that foundation. It could be possible to recreate our Spry Engine for Android, but when we do we will also have to create an adequate video/audio foundation, as Android does not currently offer a comparable foundation. Either it will be expensive and time consuming to build a custom Android foundation, or we will have to settle for fewer video tracks, which we feel would not be appreciated. So we are investigating options. Q. Considering your background, why not develop a desktop solution? A. A Mac version is certainly on our radar. Our Spry Engine and code base is macOS ready and it is mainly a matter of determining where LumaFusion would fit in the macOS landscape, and how we would creatively re-imagine those features that were designed for a touch interface. Just porting the features would not be adequate in our estimation. Q. What’s the opportunity you see in mobile filmmaking? A. The mobile filmmaking opportunity is simply astounding. At no other time in human history can we learn so much about people from around the globe – we can see how they live, hear their story, understand their challenges and grow empathy for those we previously had no way to relate to or understand. Before mobile filmmaking, the cost of video cameras and editing systems rendered them out-of-reach for many people. The size of the equipment meant that stories were often limited to places where cameras and lighting could be reasonably transported, or places that warranted a budget for a crew who could overcome difficult shooting situations. Stories often passed through several people including writers, producers, editors, and executives before hitting the airwaves. Now we can hear first-hand stories that are written, shot, edited and delivered all by passionate individuals with a story to tell. And those individuals have the power to connect to people around the world in a way that is inspiring, unique and meaningful. Q. What trends do you think are driving this momentum? A. Over the last 30 years, the industry has focused on improving image quality, and that was a big struggle. When I first started non-linear editing, (then a subset of “off-line” editing), the image quality was so bad that I would often have to load the original tape in a deck just to see if a shot was in focus. The edited sequence was then re-edited in a high-quality “on-line” editing suite which cost our customers $550/hour – expensive especially in 1988. Low quality video was often shunned for being what it was. In other words, the message had to be very stunning in order for people to overlook bad quality video. The very real intention of telling a story took second chair to quality, and as you can understand there was a high barrier to creating quality video. Now we can achieve very high quality that doesn’t distract the viewer from the content of the story. And we can do this with a common personal appliance, our phone. At first the ability to create quality video resulted in a lot of people very excited that they could post an un-edited clip on YouTube. Now I believe people are looking for stories that have been considered and crafted. We want to truly understand and immerse ourselves in the content. There’s nothing more exciting than feeling a connection to someone who’s trying to communicate with you. Q. How did Steven Soderbergh’s statements about shooting big budget films impact Luma Touch? He also says that using his iPhone for shooting is possibly one of the most liberating experiences that he’s ever had as a filmmaker. And although he doesn’t mention what tools he uses for post-production, the word “liberating” is just as appropriate for mobile editing as it is for mobile shooting. It’s how it feels to free yourself from a heavy editing system, in terms of physical weight, speed, cost and the complexity that comes with legacy desktop editing. In the next couple years, I hope we’ll see groundbreaking filmmakers such as Soderbergh taking the next step, and finishing on mobile. The ability to shoot and then also edit on mobile means clips don’t have to be moved to a desktop at all. And LumaFusion does make that possible. But I think it will take a few thought-leaders like Soderbergh to push the boundaries of mobile editing and set an example for young filmmakers. Q: What other solutions does Luma Touch offer? A: Luma Touch also has a single clip editor called LumaFX. It is a quick way to color correct, crop, rotate, trim or change the speed of a single clip. We released LumaFusion at the very end of 2016, just a year and a half ago. So we are still emerging and exploring our path forward. Q: NAB was exciting for you, with some new partnerships announced. Tell us about your partnership with GNARBOX and why that’s significant for mobile filmmaking and production. 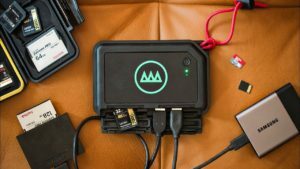 A: The dedication and energy-level from GNARBOX is impressive and something that we really admire and are very excited to be working with them. One of the challenges with editing on a mobile device is storage space, and another is getting media from a camera-card onto the device without passing through the Photos app, (where likely your personal media is also stored). Our integration with GNARBOX allows you to preview and select sections of clips, and then only those sections will be imported to you iOS device as a background operation, saving space on your device, and allowing you to continue previewing and editing while it imports the selected media. Q. What other media management workflows do you support? A: We’ve done several things to make managing projects and media easier. Most importantly, you can backup and restore projects including just the trimmed portions of your media or your whole clips. Using this feature you can start working on one device, (like your phone), and then send the project via airdrop or cloud storage to continue working on it on another device (like your iPad). We’ve also added Consolidate, a feature that copies media into the LumaFusion directories and optimizes it for iOS, so you are then free to clean up your device and remove media from the Photos app without affecting your LumaFusion project. Q. Can you explain the post workflow with LumaFusion? How do I get footage from my camera to the timeline? A: (I’m attaching a PDF that shows the import and export capabilities of LumaFusion). There are a lot of ways to import media. – First, anything already on your device is immediately available. – You can also import from (and export to) all the main cloud storage providers like Dropbox, OneDrive, Box, Google Drive and iCloud Drive. – You can access media on your GNARBOX drive as described above. – Also any media on a wireless SMB drive (such as the Western Digital My Passport Wireless Pro) can be imported to the LumaFusion library. – You can also import media from the SanDisk iXpand Drive which just connects to the lightning port of your device. – Also you can use “Open-In” LumaFusion from another app like FiLMiC Pro. Q. Is LumaFusion a solution only for iOS filmmakers, or can I bring in footage from any camera? A: No, it’s not just for iOS media. Many people who shoot with non-iOS cameras use LumaFusion. There is an SD card reader available for iOS devices. If you plug an SD card into the reader, your footage will be quickly imported to the Photos app and available inside LumaFusion. Or you can use GNARBOX, Western Digital or other wireless SMB drive, and plug your SD card into the external SMB drive so that LumaFusion can access the media. Or of course, import files from cloud storage. Q. 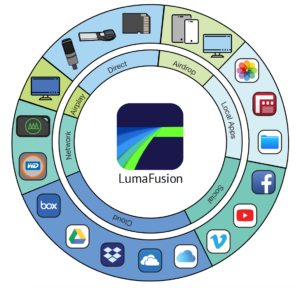 What formats does LumaFusion support? A: LumaFusion supports H.264 and H.265, .MOV and .MP4 video files up to 4K, and up to 100Mbps, in all aspect ratios. It also support 360° VR files and injects the 360 metadata at the time of export. Q. What was the reaction from the editing community to your new announcements? A: We’ve had a very positive response from our GNARBOX integration, mostly from people who have large amounts of media and who also want to avoid desktop editing, and we are continuing to improve the workflow. Q. Who is the typical customer for LumaFusion? A: We see everything from mobile journalists, to experimental artists and musicians, to independent filmmakers. Anyone who wants to tell a story with video and audio is likely to enjoy it once they try it. Q. LumaFusion sounds like it has some sophisticated features. Is this an app for professionals only? A: We’ve made a conscious choice not to limit what you can do with the timeline, titles or effects. Because every story is different and every person telling a story will tell it in a different way. But it’s not necessary that you be a professional to use the app. We give a lot of visual feedback throughout the app to make it easy to understand what you are doing. For example when you “pick up” a clip to drag it you can see it “attach” to your finger, and indicators on the timeline and the image in the preview window both tell you exactly where you are before dropping the clip. All the effects are real time, so if you like what you see, then that’s what you’ll get. We also have over 30 free video tutorials to help people get started, and a written user guide. Q: What’s the most interesting or complex project a customer has completed using LumaFusion? A: There are so many customers doing amazing work on LumaFusion. For example, journalists like Phillip Bromwell from RTÉ News consistently creates beautifully crafted, original news segments for broadcast using LumaFusion. And one of the most stunning projects I’ve ever seen (in or out of the mobile world), is the Ephemera Documentary, edited in the field on LumaFusion by Angelo Chiacchio. Q. And how did your tools enable them to do things they might night have been able to do? With just the gear he can carry in his small pack he invites us into the lives of people living in the most remote communities and environments on earth. This is an example of a project that would be even more difficult if he needed to bring a larger computer along for editing. A: Our first priority is to extend our I/O tools to allow people to work with LumaFusion in a way that’s most comfortable and familiar. 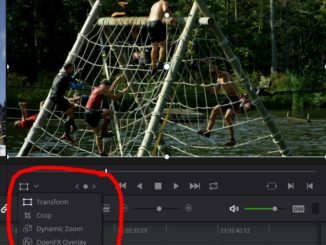 Features like external monitor support will allow people to use a calibrated monitor when color correcting, while features like export XML will provide a way for people to start editing on LumaFusion and continue on Final Cut Pro or Premiere, which will be a great bridge between the two worlds. Following that, we have some features born from requests like multi-select, and some pro-level surprises. Q: What’s in your camera bag? A: My iPhone (I use the FiLMiC Pro App), the Shoulderpod X1 Professional Rig, a small light, RØDE microphone, and a GNARBOX. And I like to edit on my iPad Pro 10.5” with LumaFusion. Check out our review of Luma Touch here, and find out more about Luma Touch software here. Doddle Digest: Avengers 4, Spider-Man, Lord of the Rings, and More!